Welcome to the Iowan Pokemon League! Do you have what it takes to be the very best, like no one ever was?! 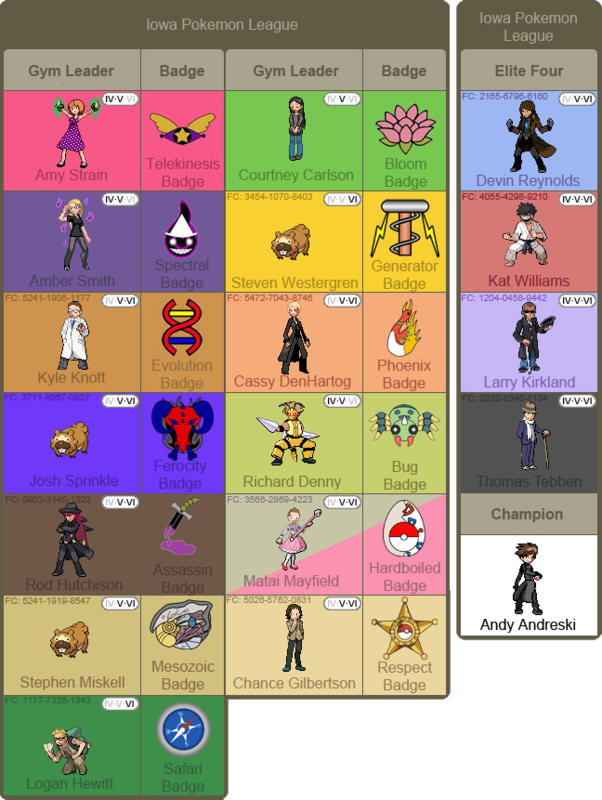 Challenge the Gym Leaders and Elite Four of the Iowa League and become the champ! Any discussion related to the Pokemon series. Discuss anything you want here, be it oranges, fruit flies, or the British Monarchy. Challenge the Gyms here! This is also where you can discuss them and apply for a new Gym. Here you will find the Elite Four and participate in the final Challenge.